It is easy to forget about car organization when your focused on scheduling a bazillion walks, managing 4 social media sites, setting up meet and greets and trying to remain polite with the crazy women leaving you passive aggressive post it notes every time you walk into her house… But an organized car with the right supplies can make life so much easier and one less chaotic thing you have to worry about. 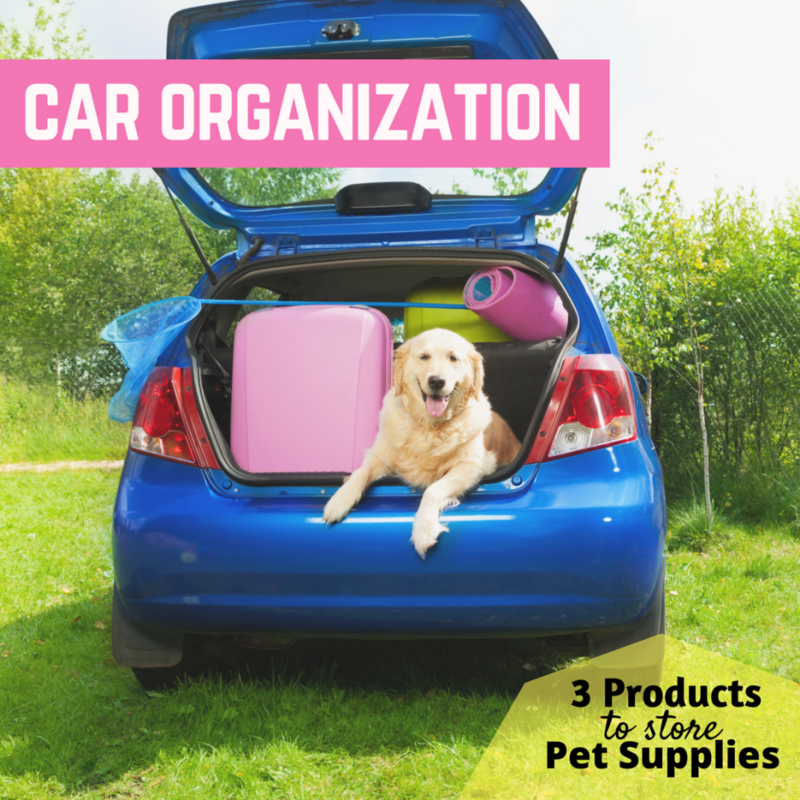 *For a list of products to always have in your car, check out the Car Organization and Supplies page. My trunk was a disaster when I first started walking dogs; paper towels and poo bags literally scattered everywhere. Between the first aid kits, leashes, cleaning products, towels, scrapers, and countless other items that are worth keeping somewhere in my vehicle I barely had any room left for the dog I was transporting. That’s when I discovered the Trunkcratepro and it literally changed my life- we live in our cars and when my car is in chaos so am I! I love this because it is durable, easy to install and has adjustable compartments. In addition to my truck organizer- I heavily rely on my Think Clean Car front seat organizer. It gives me easy access to my client clip board, business cards, brochures, pens, my note book, forms and extra poo bags. I also like that it folds up easily and can be stored in my trunk when I have passengers in the front seat. I keep business cards, rack packs, door hangers, branded poop bag dispensers, magnets, thank you/sympathy cards, and branded pens in an awesome ArtBin. It is thin, lightweight, has removable dividers and a handle! I am guilty of eating many lunches on the road and it is not always the cleanest venture. These little storage gap fillers by Lebogner have saved many crumbs from escaping down into the Netherlands. Yes, I own one of these but I did not buy it for dog walking but it has come in handy on a few long days. I bought this back when I was driving 350 miles a day for my corporate job and had to eat/work in between stops. Now I use it when I have a non-stop day, I will take 15 minutes and enjoy my lunch; it is nice to have a flat even surface to set things on as opposed to my lap. Added bonus it is extremely cheap and easy to store. Looking for a good Dog Seat Belt or Dog Seat Cover? Take a look at the Pet Taxi page.